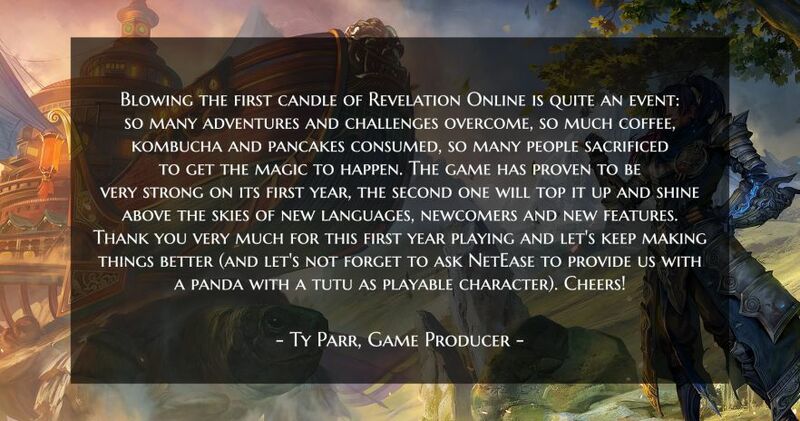 Celebrating 1 Year of Revelation Online! It's hard to believe that it's been one full year since open beta for Revelation Online kicked off on March 6, 2017. 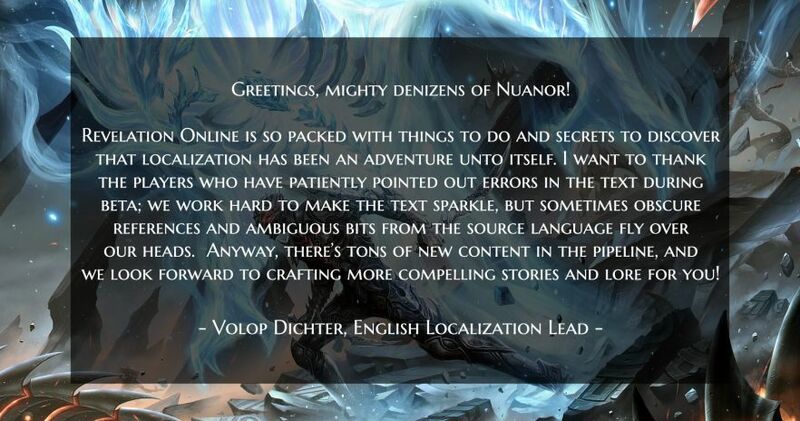 Since then, we've introduced seven patches to the game and held a heap of contests and seasonal events. 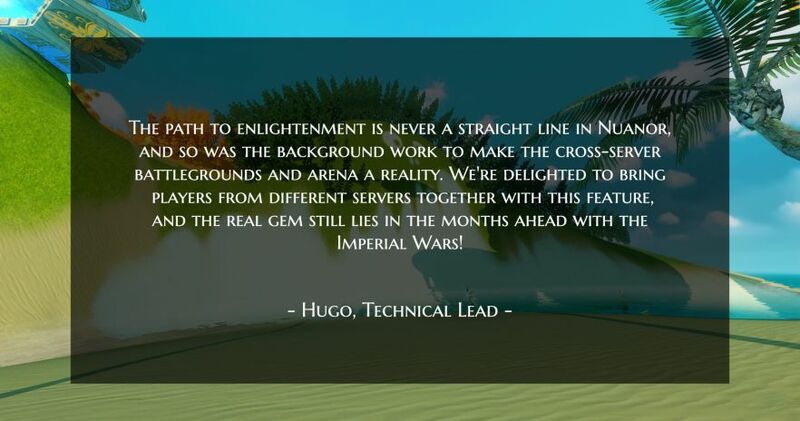 It's been a blast! What would an anniversary be without a proper celebration? The rest of this month is filled to the brim with in-game events, bonuses, contests, and more. Log in daily and get Astral Greatvoices, Renaissance Reward Roulette wheels, and other goodies. Log in on March 11 and you'll receive the Little Whale Pendant and the Graceful Warrior title! Participate in daily activities such as Demonslaying and Curious Events to earn bonus Commemorative Coins and Battle League Rewards. Commemorative Coins can be used to buy Anniversary Forecast Discs in the Holiday Shop. Forecast Discs predict your future and confer amazing rewards, including chances to win a Big White, Crispy Noodles, and Mr. Cuddles! Jump into the game to get Anniversary Fortune Eggs and bonus Commemorative Coins. The luckiest warriors might even win Red Tickets or Azure Tickets! 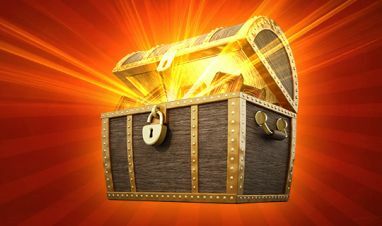 Outside of Nuanor, check out our events on Facebook, Twitter, and Discord to earn even more rewards, participate in activities, and share memorable moments! 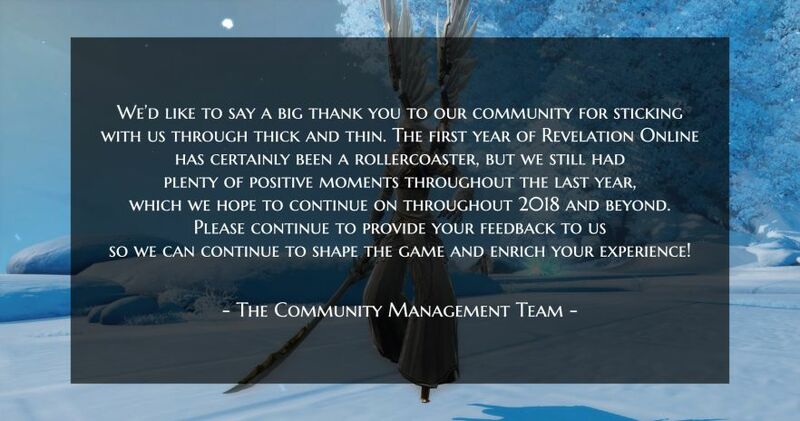 The Revelation Online Team would like to thank you for supporting us. We hope you've had a great first year in Nuanor and look forward to many more to come! Celebrate Revelation Online's first birthday with an additional 20% Aurum for every top-up! 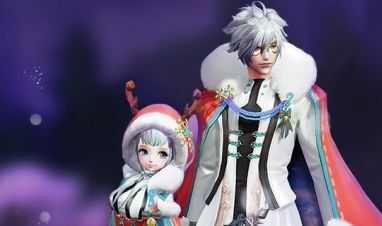 Look your best for Revelation Online's one year anniversary!